Bugs -- with their many legs, wings, colors and lifestyles -- provide a fascinating theme for preschoolers. Your child probably loves to pretend and can learn a lot through his pretend play, so you can use dramatic activities to help him learn a bit more about the insect world in a way he will enjoy. Teach your preschooler about the life cycle of a butterfly by helping him to act it out. Use a blanket or sleeping bag to turn him into a caterpillar. Have him wiggle about and pretend to eat before curling up and building a cocoon -- perhaps using another blanket. Tell him: "now you are an amazing butterfly" and encourage him to flutter around using his arms as wings. Your preschooler may enjoy being a spider and catching some flies. Help him spin a web by winding some wool between two chairs -- don't leave him unattended as this could present a strangulation hazard. Make some flies out of paper to get stuck in the web. Use bugs as a theme for some dressing-up activities. Turn her into a ladybug with some red clothes, circles of card stock for spots and a bit of face painting. Turn a hair band into antennae for a variety of bugs by attaching chenille stems with circles of card stock or pom poms on the end. Make some butterfly wings out of card stock, have your preschooler decorate them and then attach them by threading ribbon through and tying round the tops of her arms. Stuff six black socks full of paper -- the longer the better -- and stitch these to a dark top to make a spider costume. Turn your hand into a tickly spider with the help of a black glove. You can add googly eyes and three extra legs using the fingers of another glove if you want to be really accurate. Ask your preschooler: "I am a tickly spider, can I come and sit on your shoulder?" Then crawl up his arm and snuggle into his neck -- hopefully to lots of giggles. Now ask him "can I come and sit on your knee?" and so on. Make a bee out of card stock and glue it to a craft stick for your preschooler to play with. Encourage him to fly it around the backyard looking for flowers to land on. Give your preschooler a glove to wear and tell him his hand is an ant. Give the ant a pile of toy food to carry back to his nest. Your hand could also be an ant to help him. 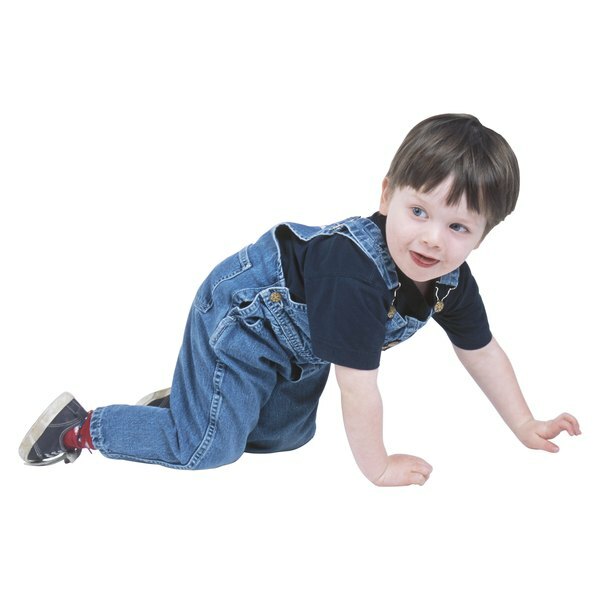 Encourage your preschooler to experiment with movement by asking him to dance around the room like an insect for you to guess -- he could buzz like a bee, flutter like a butterfly or wiggle like a worm. Challenge him to move from one side of the room to the other as a spider, then a worm, then a fly and ask him: "which one is hardest?" You could join in and have some insect races.